It’s been more than three months since Intel Sandy Bridge-E was released last November. There are three types of CPUs, two 6C12T types, and the affordable 4C8T i7-3820 released lately. There are a lot of MB brands of Intel X79 chipset on the market. Among the various MB brands in the market, the X79 is considered as the newest state-of-the-art product. 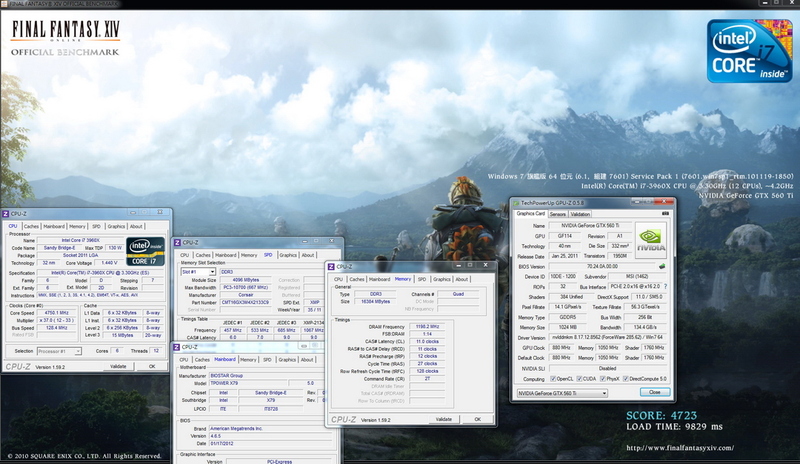 This time Windwithme is going to share the details about the overclocking experience of the X79 for the fourth time. 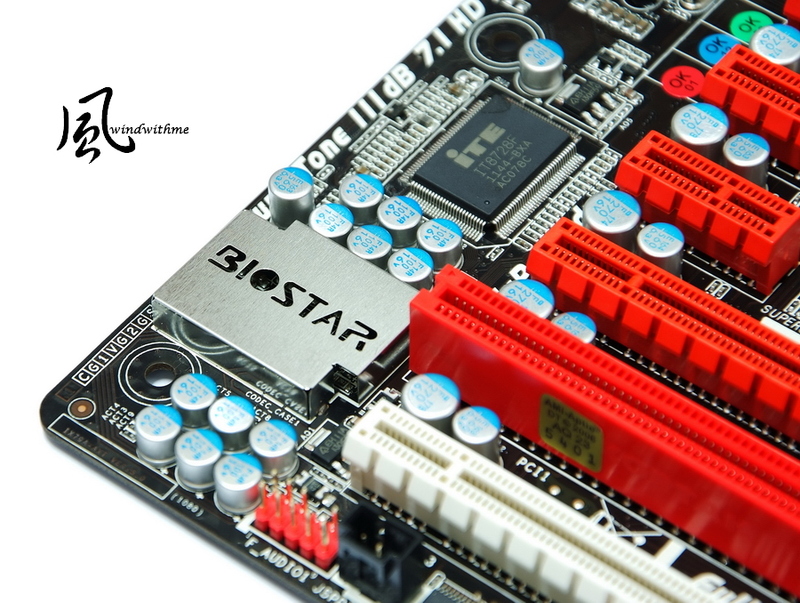 The X79 is manufactured by BIOSTAR and it boasts of high-performance overclocking features and an affordable price. 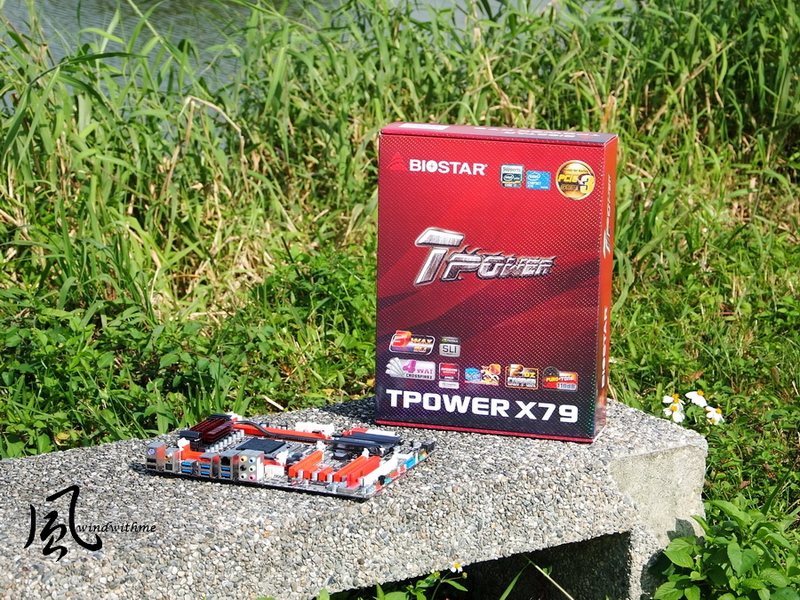 The currently released X79 belongs to the TPower series, and is classified as the technologically advanced product line of BIOSTAR. 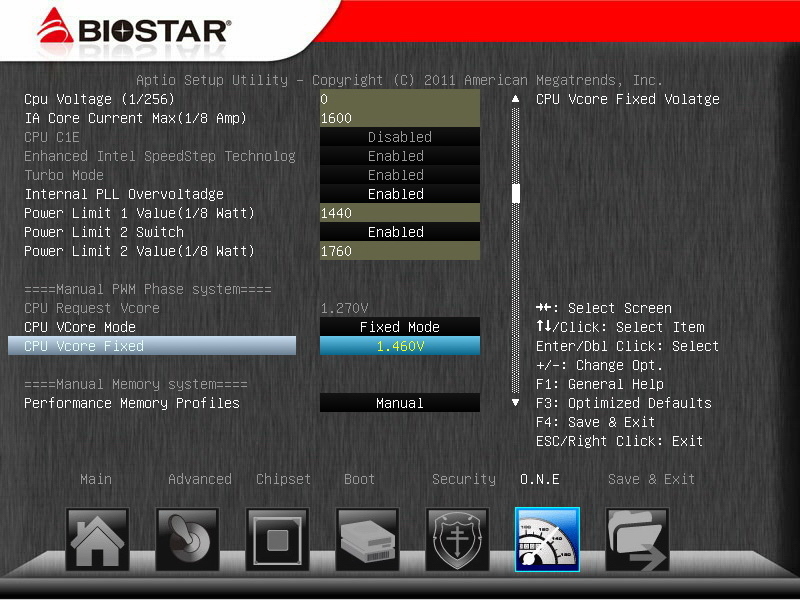 First, let’s have a look at the BIOSTAR TPower X79. 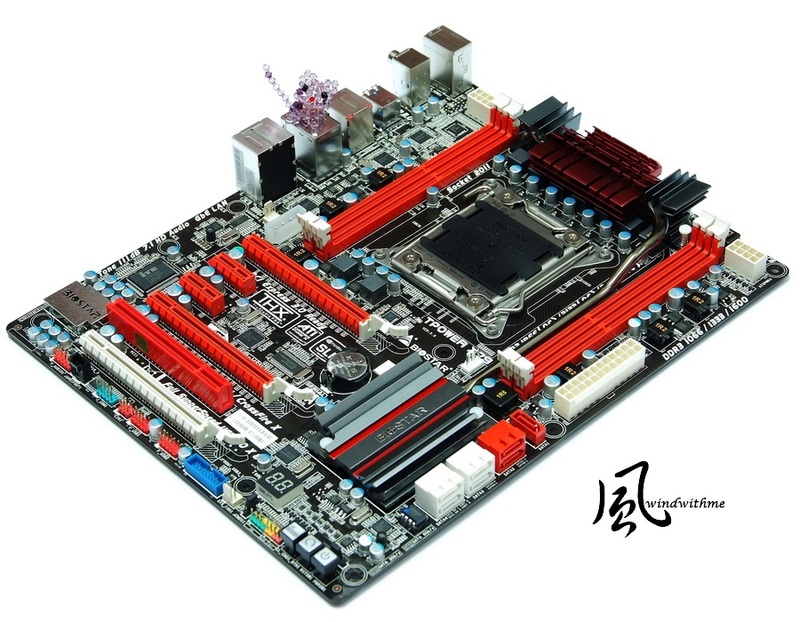 It has 8 layers of PCB boards, and its whole body adopts black as the base color and red as the auxiliary color. White is used for the expanded slots. Based on the common ATX spec, it is 30.5cm X 24.4cm (W X L). In spite of its fair price, its material and specification can almost be considered as medium-level. 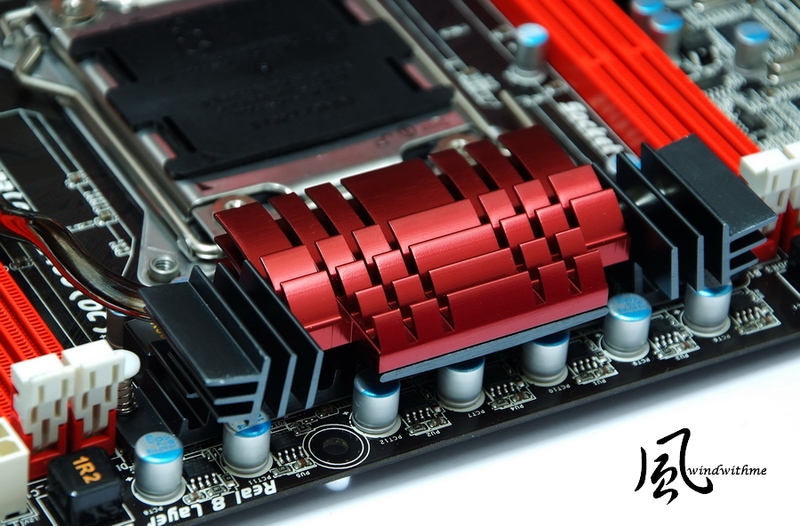 3 X red SATA2 and 2 X white SATA3 connectors are provided by the X79 chipset; it supports RAID 0，RAID 1, RAID 5 and RAID 10. 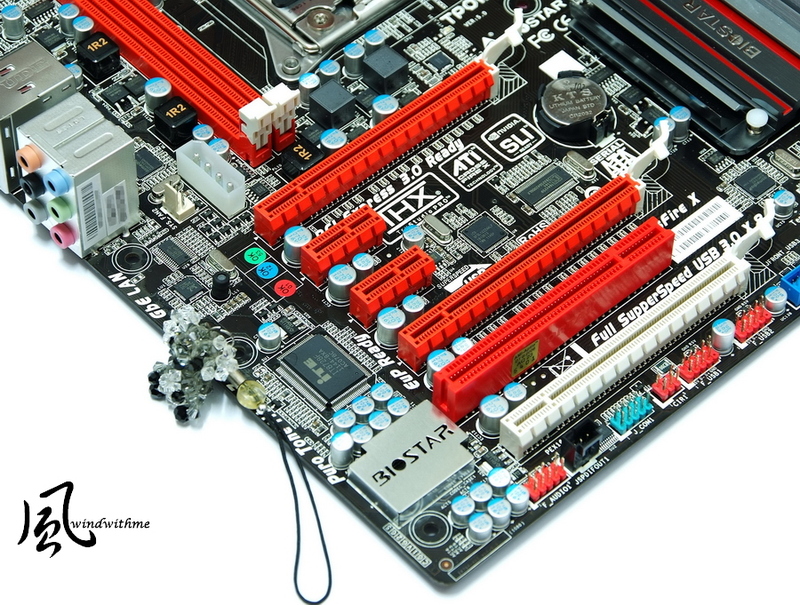 The maximum performance depends on the installed SATA equipment. 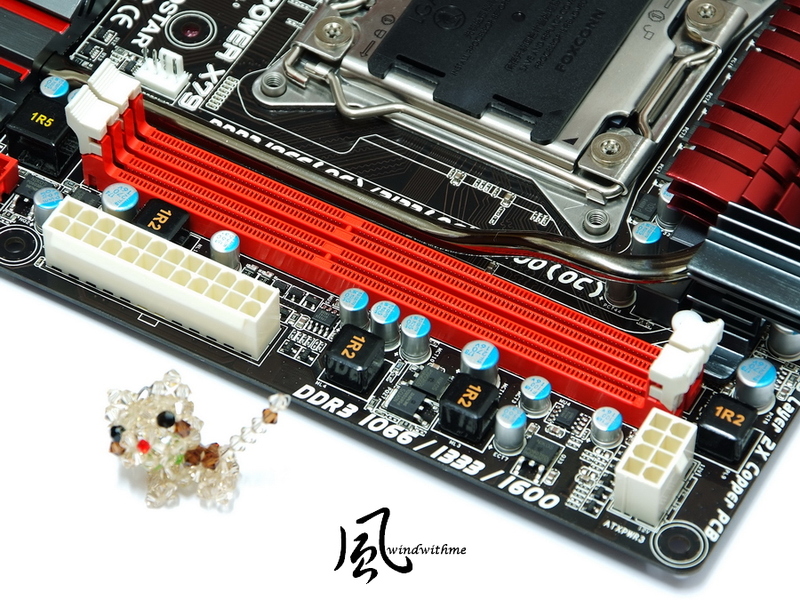 2 X white SATA connectors are provided by the ASM1601 chipset, with the SATA3 specification and AHCI support. It has a 24-PIN power input and a second 8-PIN power input. 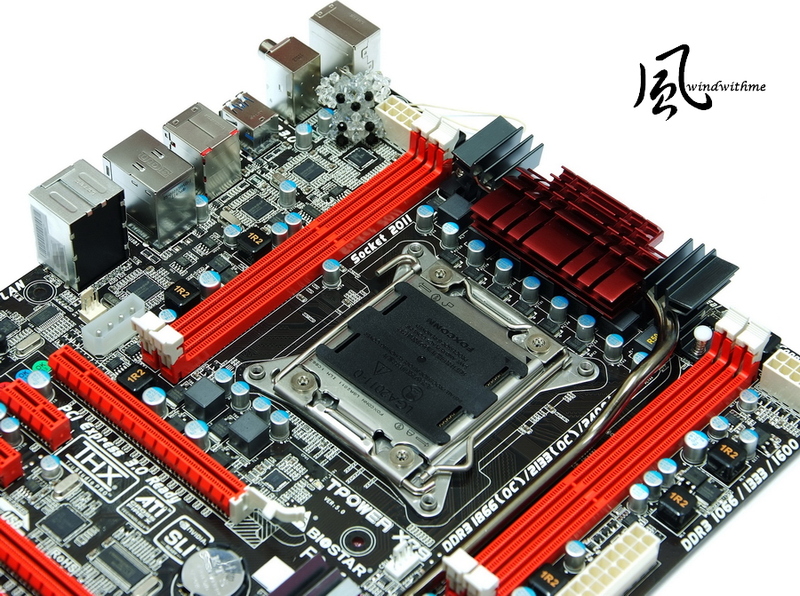 The DDR3 adopts a two-phase power supply design. The CPU power supply design has 9 phases in total, namely, 6 VCORE phases, 1 VSA phase and 2 VCCIO phases. It supports 4 channels and Extreme Memory Profile technology, and the upper left is the first 8-PIN power input. The upper side of the audio chip has a metal cover, where the BIOSTAR Logo is printed and which displays a red light when powered on. This part uses three ASM 1042s, and provides 6 USB 3.0 interfaces for the user. From the large MOSFET radiation module, we can see a special design, leaving a larger space for radiation. The radiation module of X79 chipset is mainly in silver black. With the hairline crack on the appearance, its texture is quite good.. It is linked with the MOSFET radiation module by a heat pipe, so that the hardware temperature could be balanced effectively. 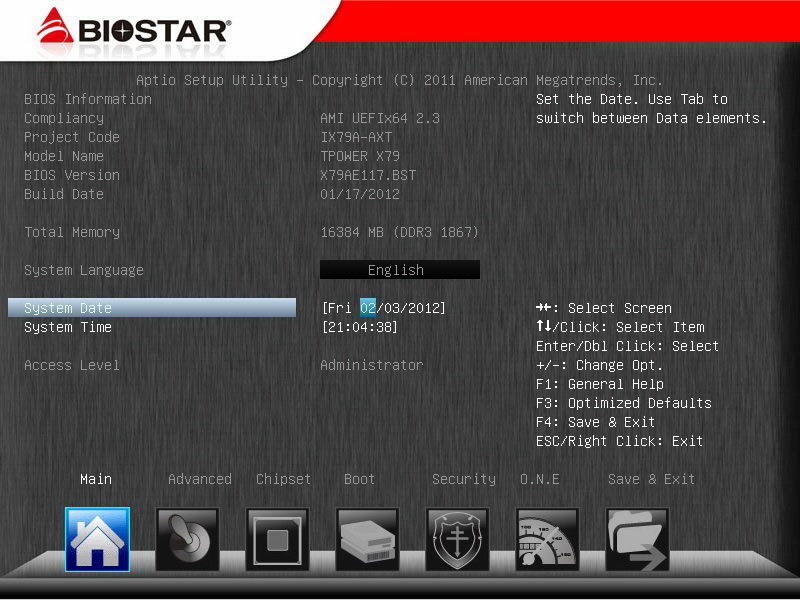 BIOS adopts a UEFI interface and comes in plain color. 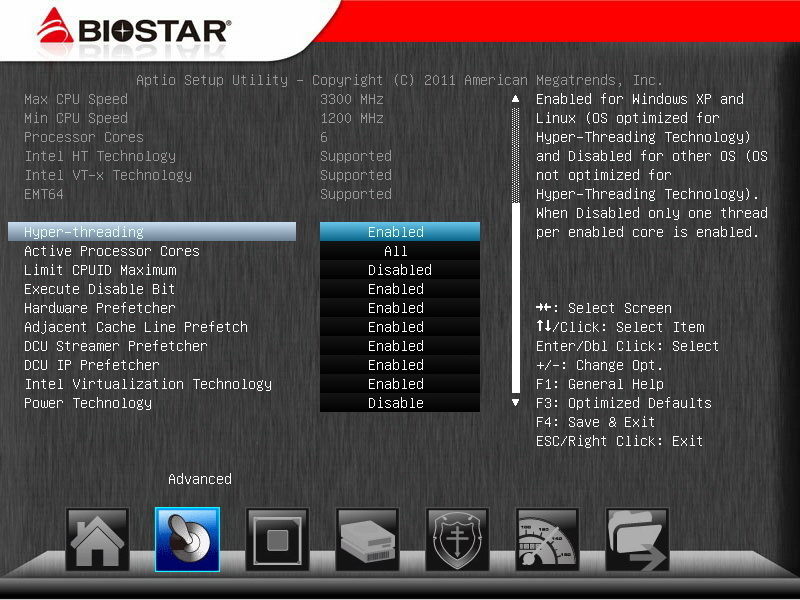 BIOSTAR prioritized the practical application of the unit. The frequency multiplication of the CPU Ratio is adjusted to 37 and then the CPU C1E is turned off. Memory Multiplier is set at 18.67. By increasing the external frequency of the CPU, it will be close to DDR3 2400. The lower side is the voltage specification of the other parts. Except for CPU voltage, there are two other voltage options as follows. The CPU temperature detected here is higher than the temperature felt from the air from the heat sink or that detected by the software installed in the OS. 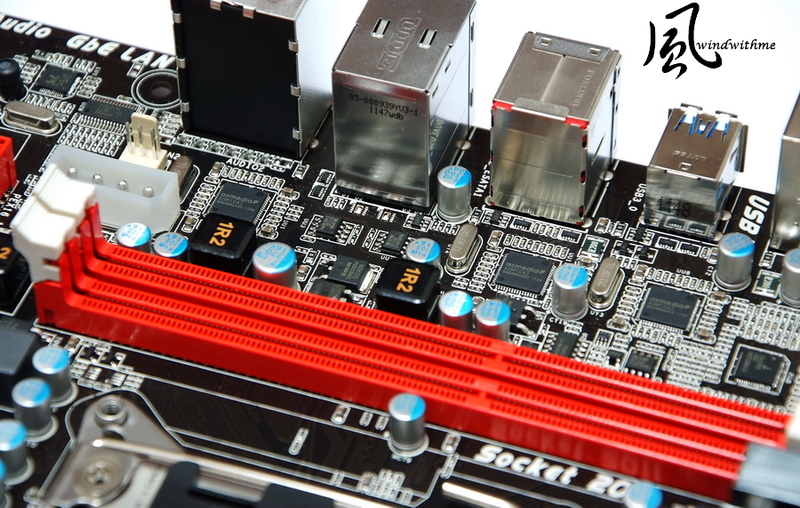 There are two methods of overclocking for the LGA 2011 structure. One is directly adjusting the CPU frequency multiplication and the DDR3 frequency, so that the CPU could reach 4.5~4.8GHz or higher. Moreover, the DDR3 could also be adjusted as 1600/1866 or 2133/2400 according to its power. The other method is more complicated. 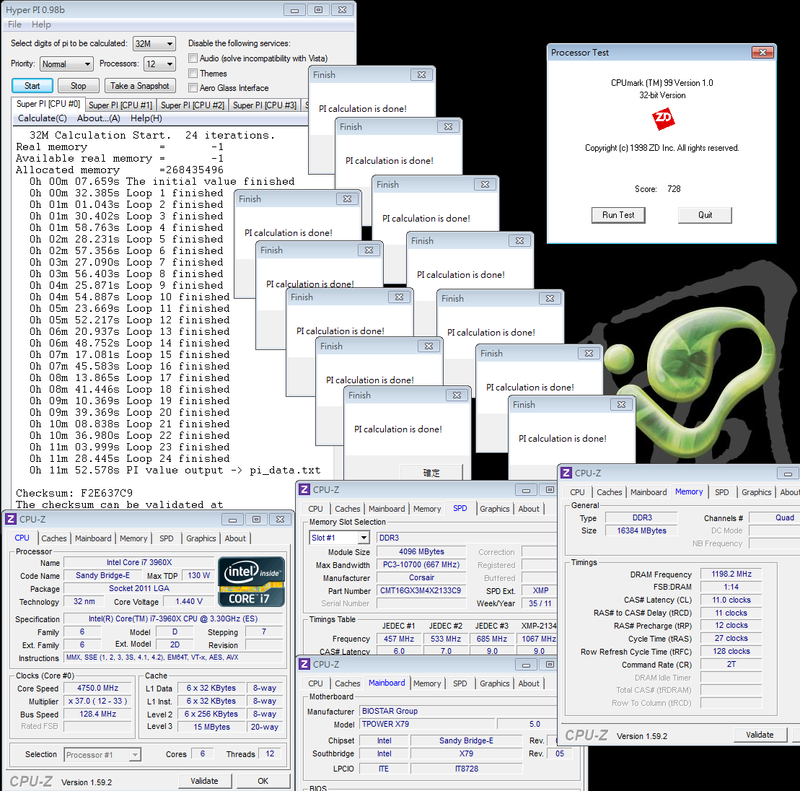 Overclocking is achieved by increasing the CPU frequency multiplication or testing the maximum limit of the DDR3 2400, which is helpful to those who pursue DDR3 limits. I suggest setting the Vcc SA voltage as 1.000~1.200V according to the CPU’s power so as to increase the stability. 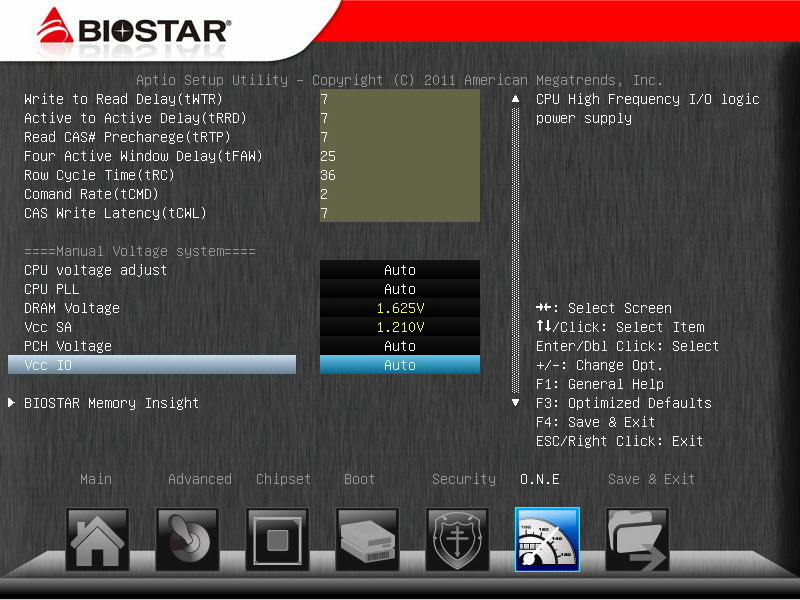 The CPU and memory states could be displayed; the frequency could also be slightly adjusted. It provides three automatic overclocking modes, namely, V6, V12 and AUTO. 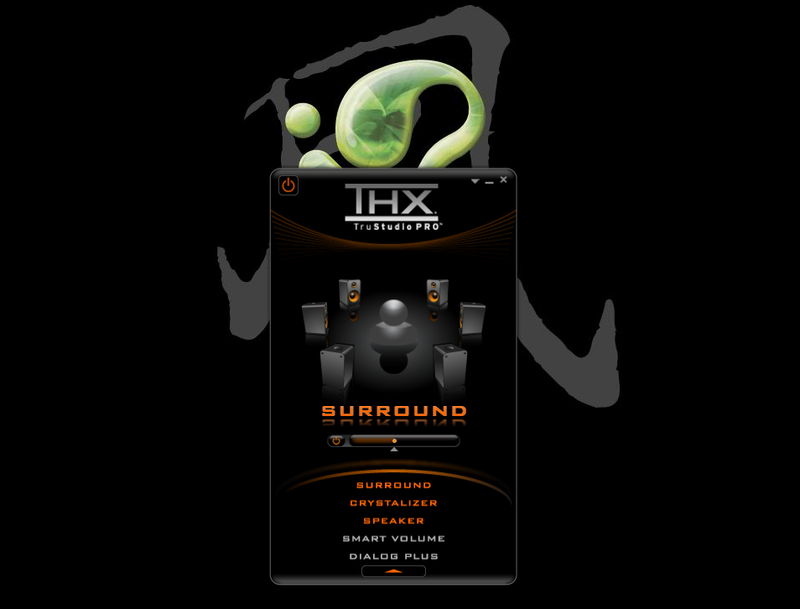 I used the THX software interface when using the msi Gaming Notebook, which is practical in terms of audio performance. I selected the options of SMART VOLUME and DIALOG PLUS. It could optimize the sound field, but the specifications under medium-frequency will be lowered. I suggest using it under the audiovisual environment. 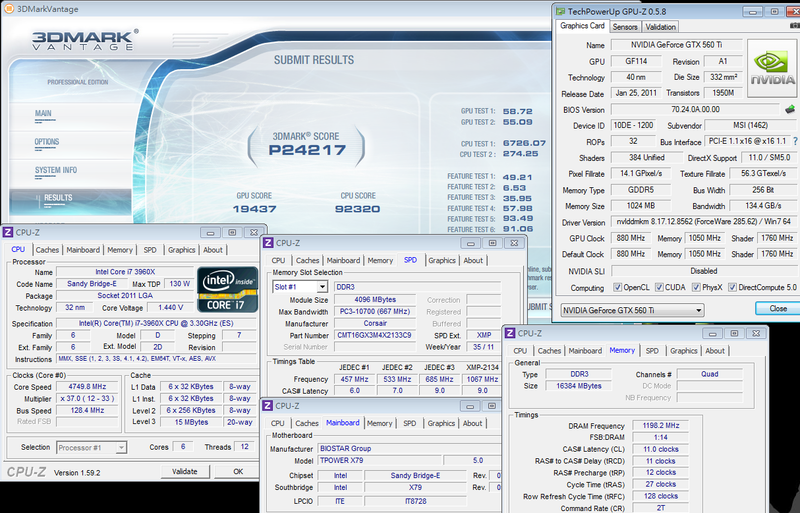 When the 3960X is overclocked to 4.75G, the voltage is 1.416V at full speed. I will share its performance under the stable working conditions. As an Extreme platform, the CPU could achieve the highest performance for desktop use whether under single-thread execution or multi-thread execution. If you want to do overclocking frequently, I suggest you do it under a good radiation environment, and keep the voltage lower than 1.45v. As for the bandwidth, among the various software I have used, SiSoftware Sandra and CrystalMark could reach the four-channel bandwidth. The obtained bandwidth (MB/s) is nearly twice that of the LGA 1155, which is really a breakthrough for X79 in terms of DDR3 performance. 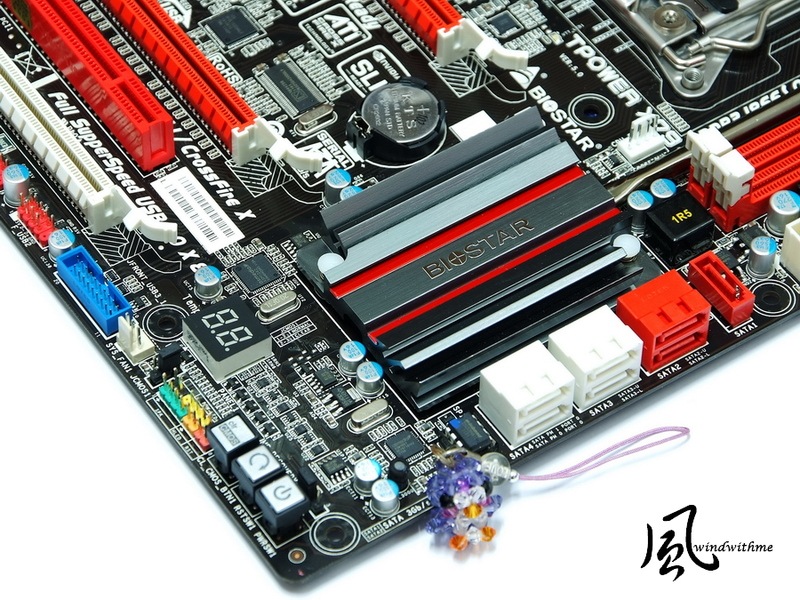 The TPower X79 could also reach a stable DDR3 2400 level, resulting in a good performance for the DDR3 overclocking range. 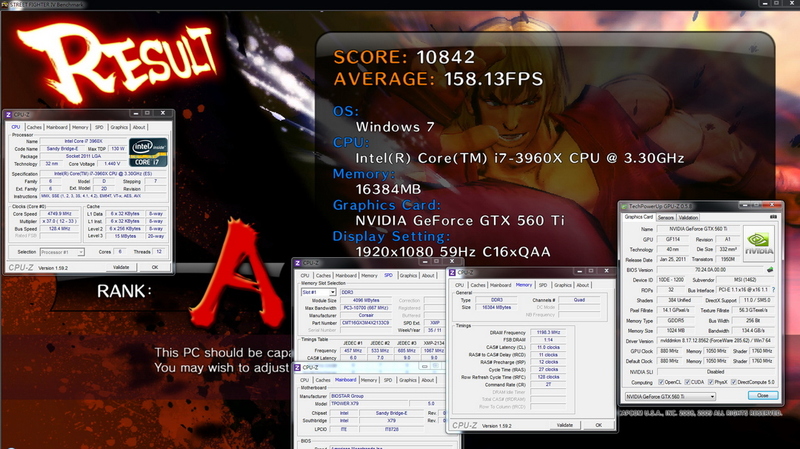 Regarding the power consumption test, it turns out that there is not much difference between X79 and other brands. 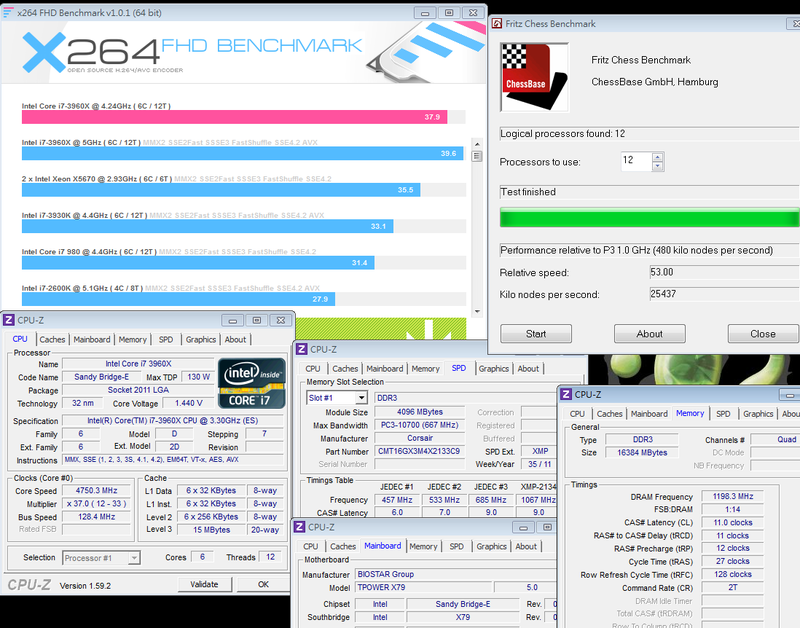 It can perform well during system standby and overclocking to 4.75G. If you want to save power, you must enable the C1E function. 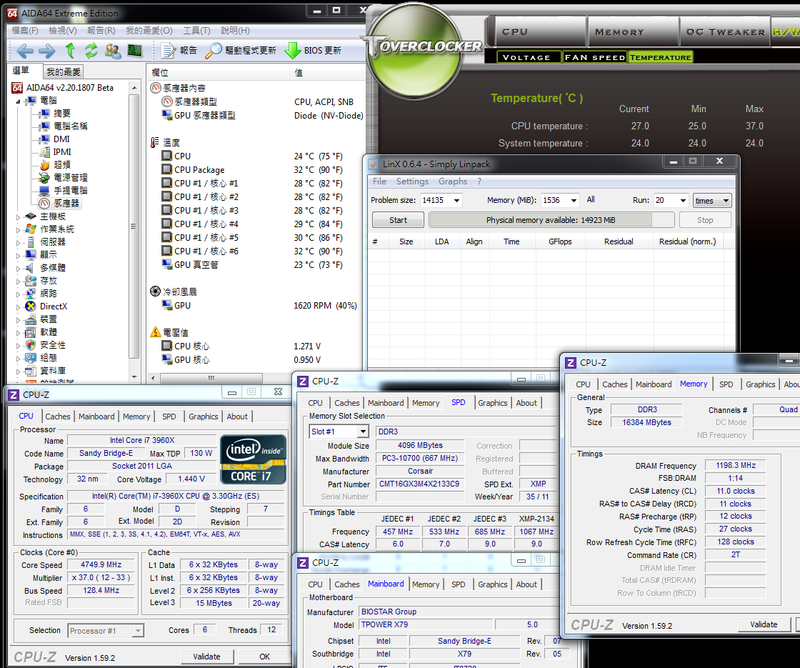 The power consumption at full speed is quite high, which is also caused by the 6C12T overclocking to high frequency. 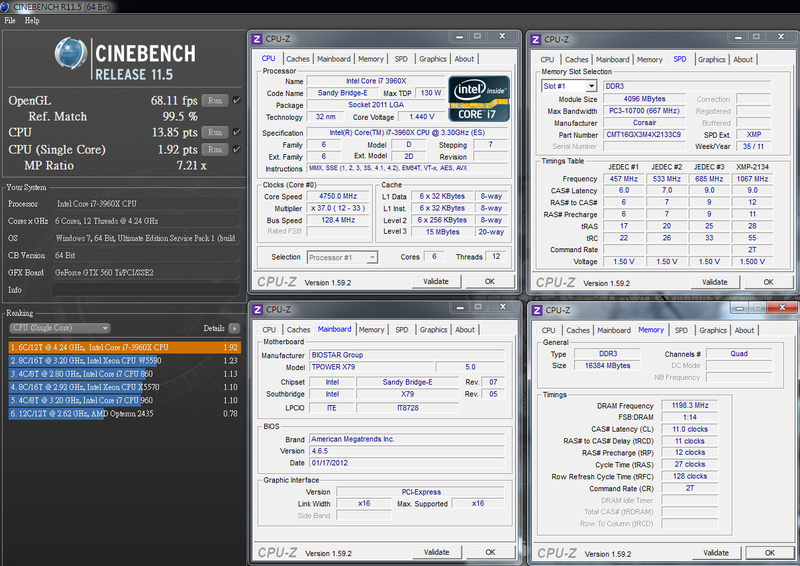 Above is the temperature performance after 3960X overclocking. The heat sink used is the CORSAIR Hydro Series H80 all-in-one water cooling device. The temperature maintenance is quite good during system standby, and it is lower than the i7-2600K when at full speed. 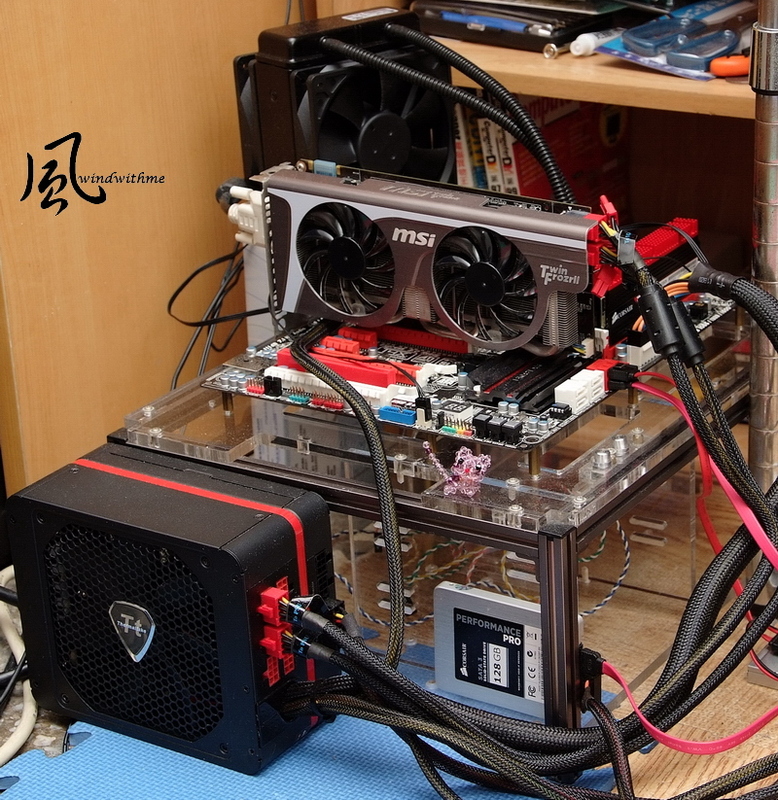 The metal cover of the water cooling device is not hot, and the temperature of the LGA 2011 CPU might be lower than the advanced LGA 1155 CPU. The Sandy Bridge-E CPU may be larger in size, hence the contact area for the heat sink is also larger and the heat conduction is much faster. According to my usage experience, the 3D performance of the CPU mainly depends on the processing performance of the CPU structure. 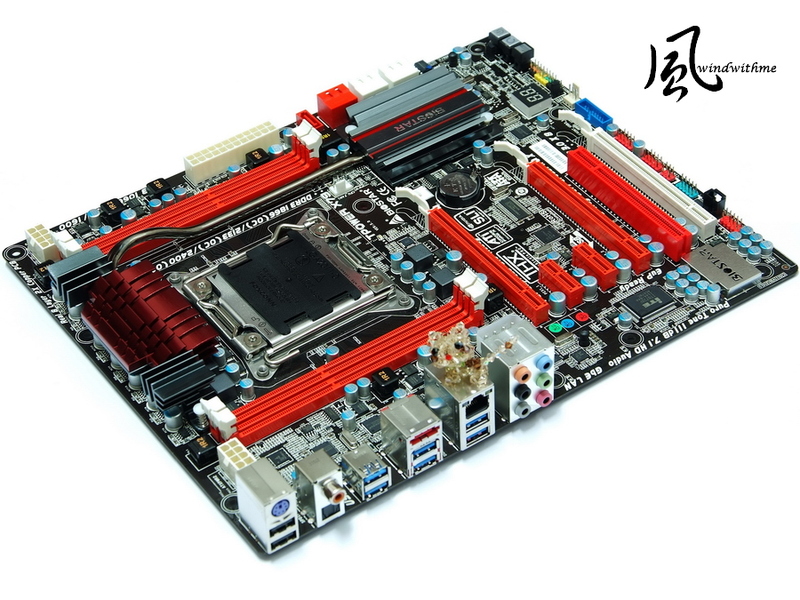 The 3D performance of the Sandy Bridge-E structure is quite satisfactory. However, it will achieve better performance on the 3D software supporting multiple cores. 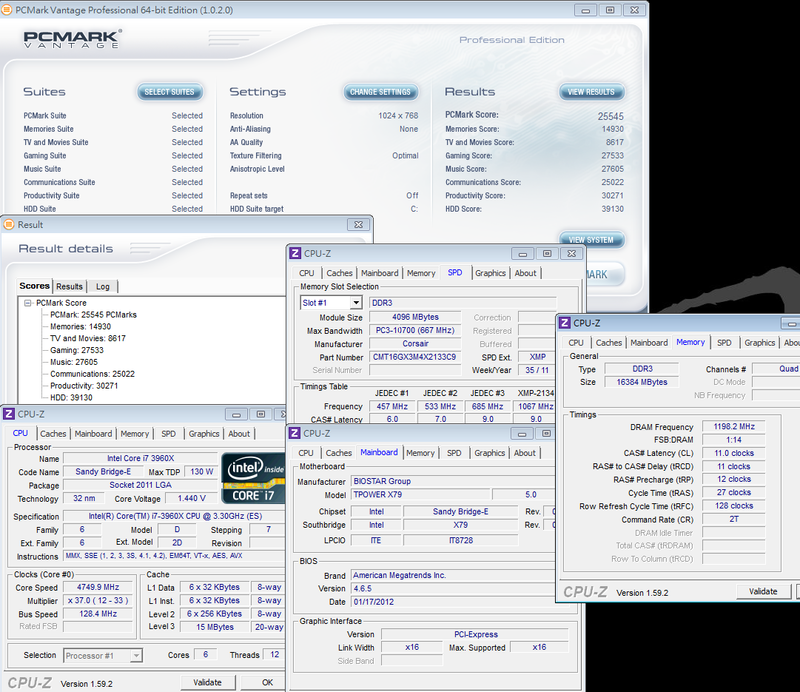 For example, the CPU SCORE of 3DMark Vantage is higher than 90,000, which is the best among the desktop applications. Given the same ambient temperature (21 Celsius) and the same 3960X OC 4.75GHz overclocking setting, I measured the MOSFET temperature with a temperature measurement tool. The highest temperature is 43.1 Celsius during system standby, and 70.1 Celsius when the machine is running at maximum speed. 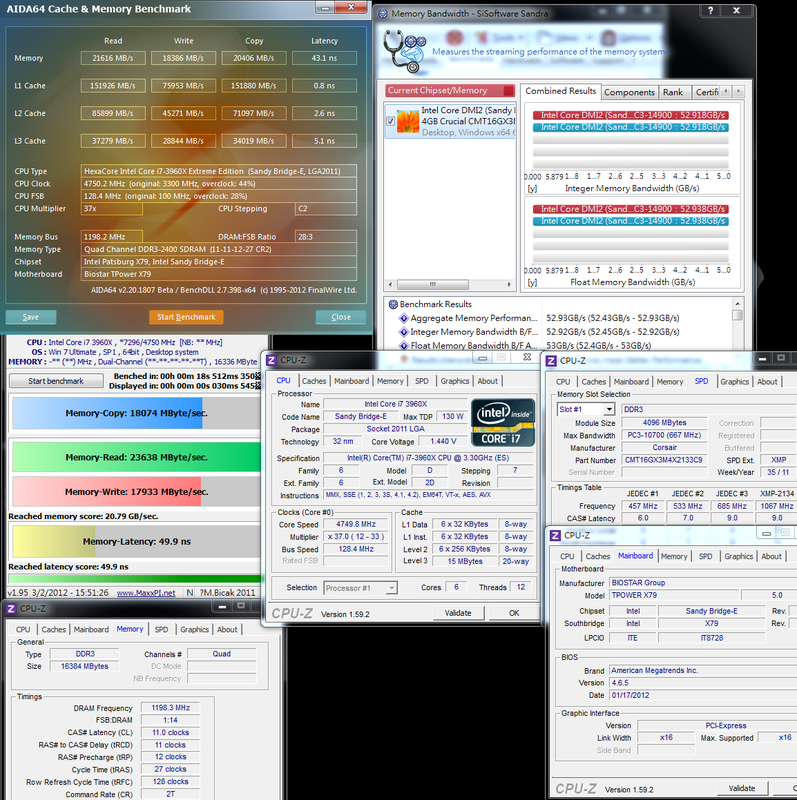 Among the several X79s I have used, the TPower X79 records the lowest temperature during system standby and at full speed. It is 8~15 Celsius lower than other X79s. Possibly because of the heat pipe design, the temperature performance of MOSFET is outstanding whether on system standby or at full speed. If the temperature is too high, I suggest strengthening the MOSFET radiation when overclocking. Windwithme will measure the temperature of the hardware in this part for every article about X79, for reference. 1. The overseas price is about US$230 (about NT$6800), which is quite affordable considering the choices for the advanced X79s. 2. The material is 2OZ combined with 8 layers of PCB, and the material specification of other hardware is better than many low-level X79s. 3. 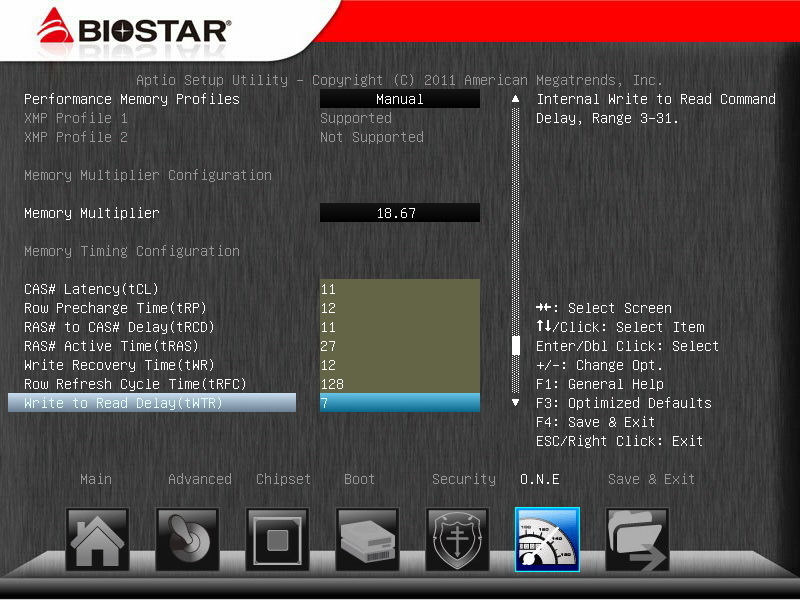 The new BIOS could increase the robust DDR3 up to 2400 stably. 4. The radiation system connects the MOSFET and chipset in series so as to lower the temperature more efficiently. 5. For the IO interfaces, it has 6 USB 3.0 interfaces. Including the interface on the front side, it has 7 USB 3.0 interfaces for expansion. 6. Audio chip supports THX technology. The metal cover enables it to have a smooth surface. 1. 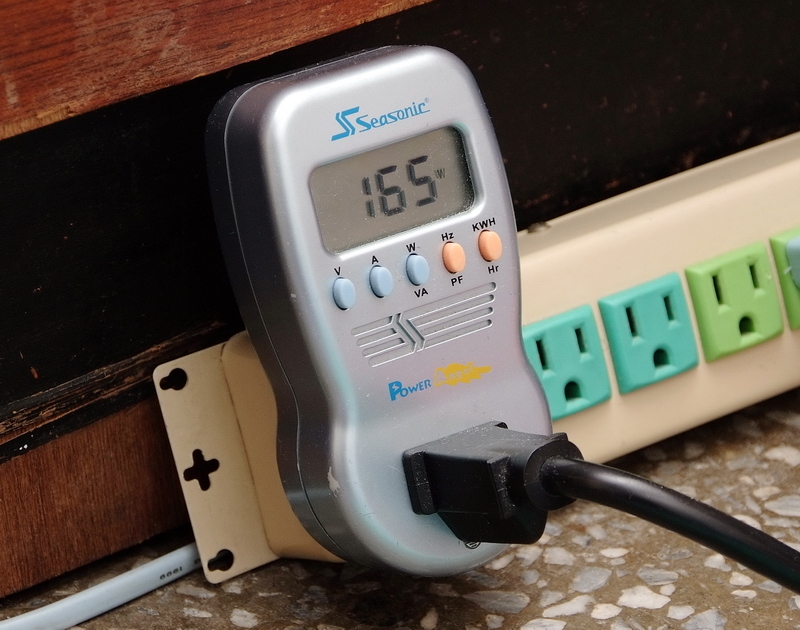 The CPU voltage vibrates greatly, which is 1.440V during system standby and 1.416V at full speed. 2. 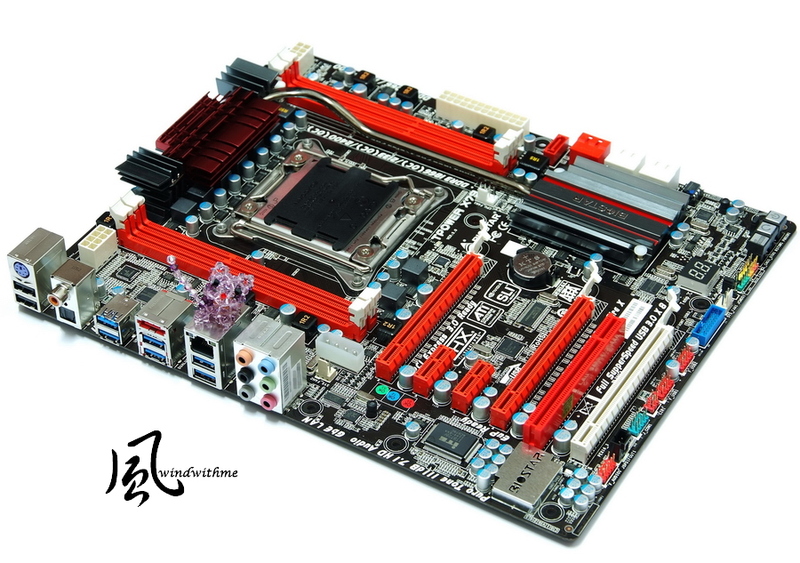 It requires higher CPU voltage for overclocking to 4.8GHz or higher. 3. BIOSTAR has no current distribution channel in Taiwan. Stars are used to give a mark for each criterion, with each star representing 10 points. Ten stars represent a full score. However, the result seems inaccurate, so I calculated the score for each indicator. Scores were rounded to the nearest whole number in order to obtain more accurate scores. All these are my opinions after using the advanced X79 on the current market, which are hopefully an easy-to-understand reference. The photo is taken under the sunlight. The bright light and the golden glow contribute to a higher color contrast. 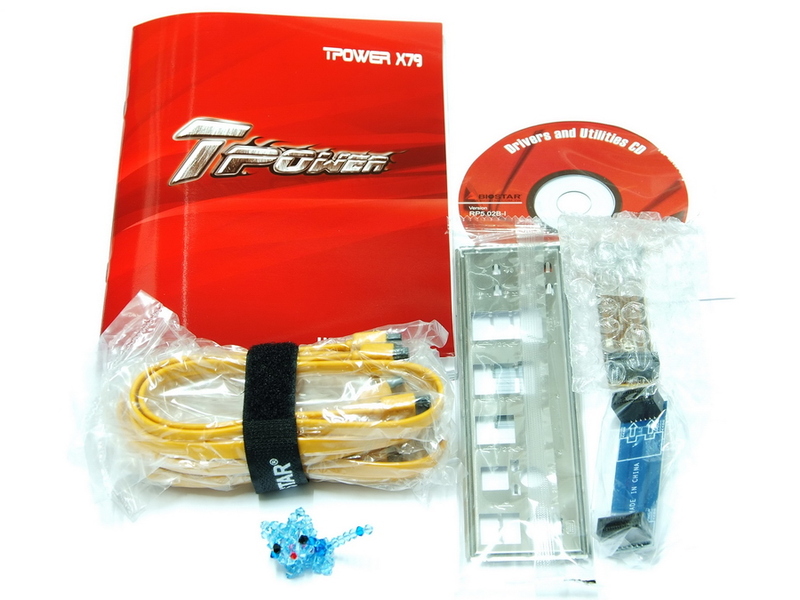 Considering its affordable price, the BIOSTAR TPower X79 is worth it in terms of the specifications and the material. It almost equals the medium-level X79 which is sold at a price of more than US$300. In the whole X79 market, the C/P value is pretty high. 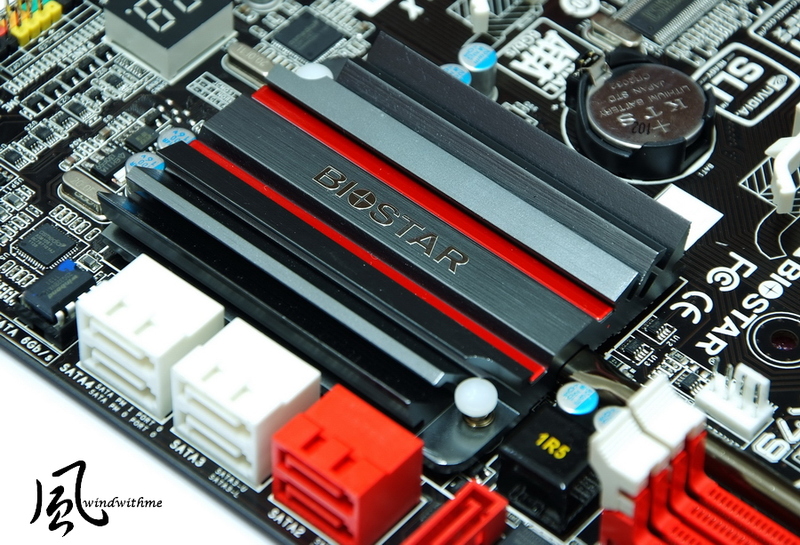 If BIOSTAR could release the advanced X79 of 8DIMM DDR3 and 4Way SLI specification in the future, it could strengthen the X79 product line under its own brand and gain higher competitiveness. 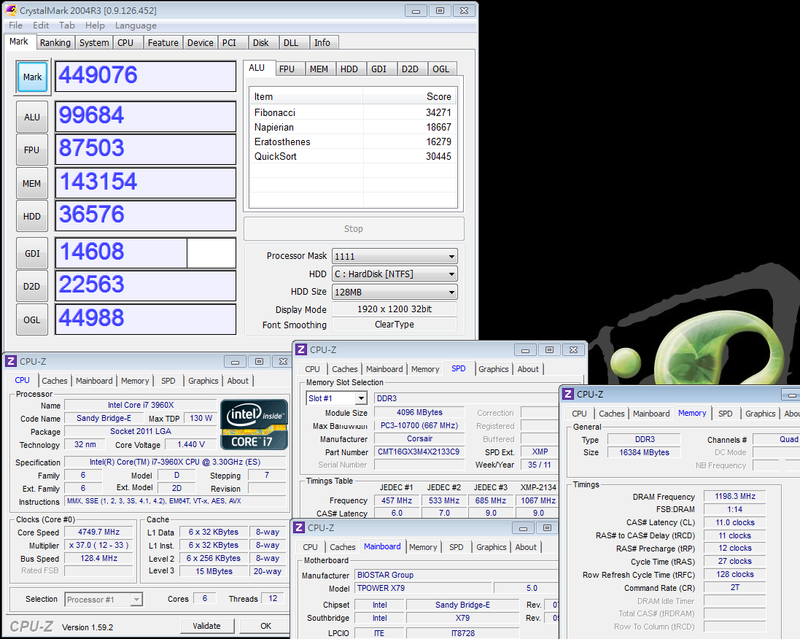 Finally, I posted a Microsoft Excel file which indicates the overclocking performance data of several X79s which I shared recently. I hope it will help you in making comparisons if necessary.